Rakuten Super Points 2X POINTS! Buy it and earn 20 points! 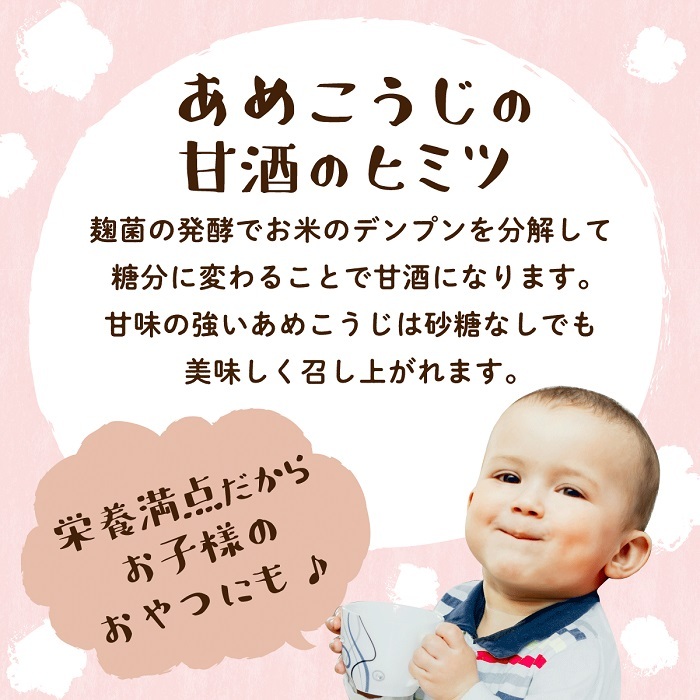 ２．"I knit it and grow on" "is whiter more indulgently"
Because the U.S. malted rice is made in "rice" and "an Aspergillus oryzae", it becomes delicious so that rice and an Aspergillus oryzae are good. 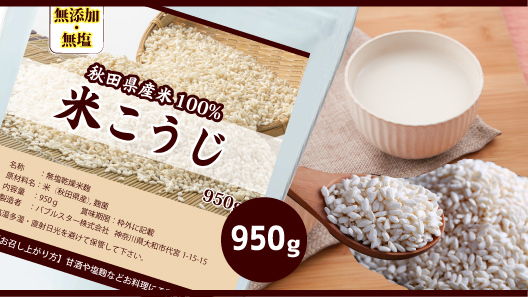 The U.S. malted rice of our store is use of 100% of rice of rice granary Akita. Akita synthesis food research center is sweet, and it develops a new type of Aspergillus oryzae of the clear taste for four years. 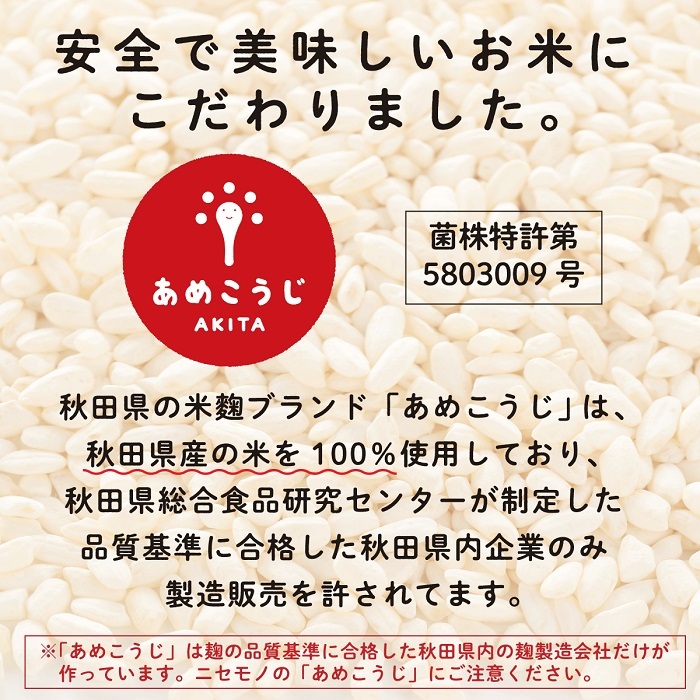 "Knit it, and this malted rice grows on" and is called by という nickname and is accompanied by the logo mark, too. "I knit it and grow on" "is whiter more indulgently"
The old stock that "knit it, and grew on", and became the の groupDayAspergillus oryzae for the quality sake brewed from the finest rice of Akita Meijyo making this liquor brand "美酒爛漫"です. As browning-related (tyrosinase activity) is lower than conventional malted rice as for "knitting it, and growing on" that I was born from there, transparency is higher and does beautiful white. 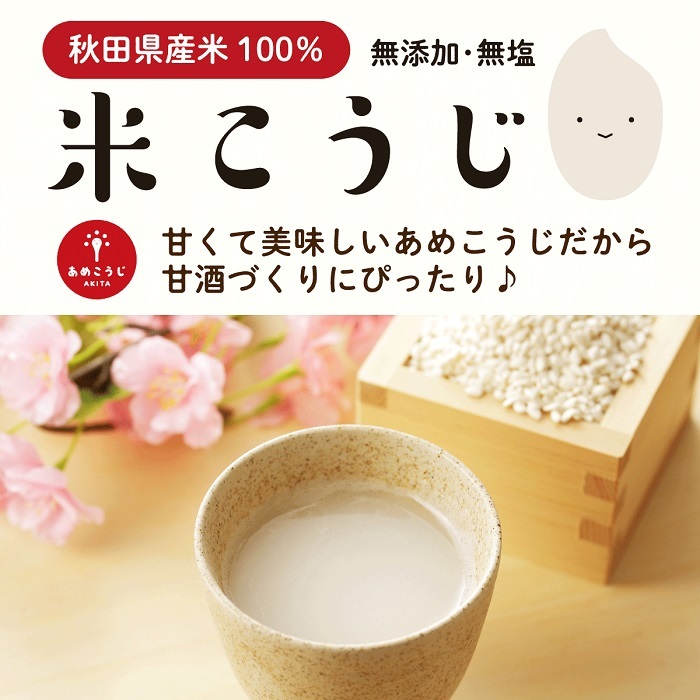 When "I knit it and grow on" and make で sweet alcoholic drink made from sake lees, it is sweeter than conventional sweet alcoholic drink made from sake lees (Brix % 15-20% indicating the sugar content are high), and a result appears with refreshing taste (an amino acid level is low 20-30%) and number. Because "I knit it, and even a sensuality examination grew on", and an evaluation with "sweet" "clear taste" was provided as for the による sweet alcoholic drink made from sake lees, I knew that it was the superior malted rice which I could apply to cakes as sweetness material. 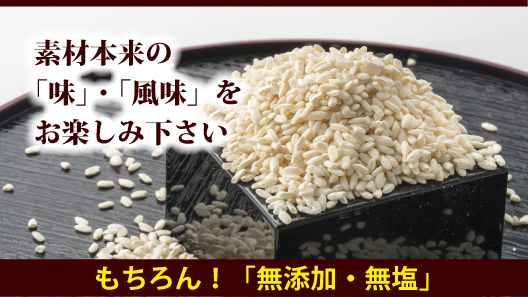 I can save the dry United States malted rice more than a half year whereas preservation is short if the brown rice malted rice is within one month and it does not have to untie it whenever I use it as I do it lightly from the beginning and is easy to use it. It is easy to keep it with a bag with zipper and is convenient. You let air after opening and close a zipper well, and please keep it. 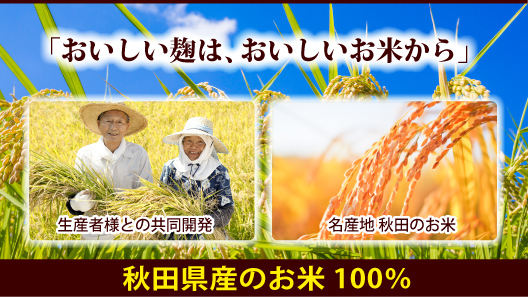 "I knit it and grow on"
・Only in the malted rice manufacturer in Akita that passed a quality standard of the malted riceBut, I make it. ・I acquire a strain patent in 2015I do it. ※Of the imitation "knit it, and grow on", and please warn にご. 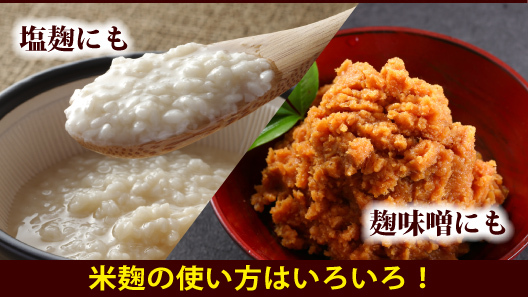 Even if even if make salt malted rice even if make sweet alcoholic drink made from sake lees, do it in miso; an unrivaled article! A flavor and the sweetness that I did well excite an appetite. Slaver is ... in a mouth. Using much sweet alcoholic drink made from sake lees products being sold in recent sweet alcoholic drink made from sake lees, a salt malted rice boom additive including sugar and the preservative sweet alcoholic drink made from sake lees and salt malted rice increased. 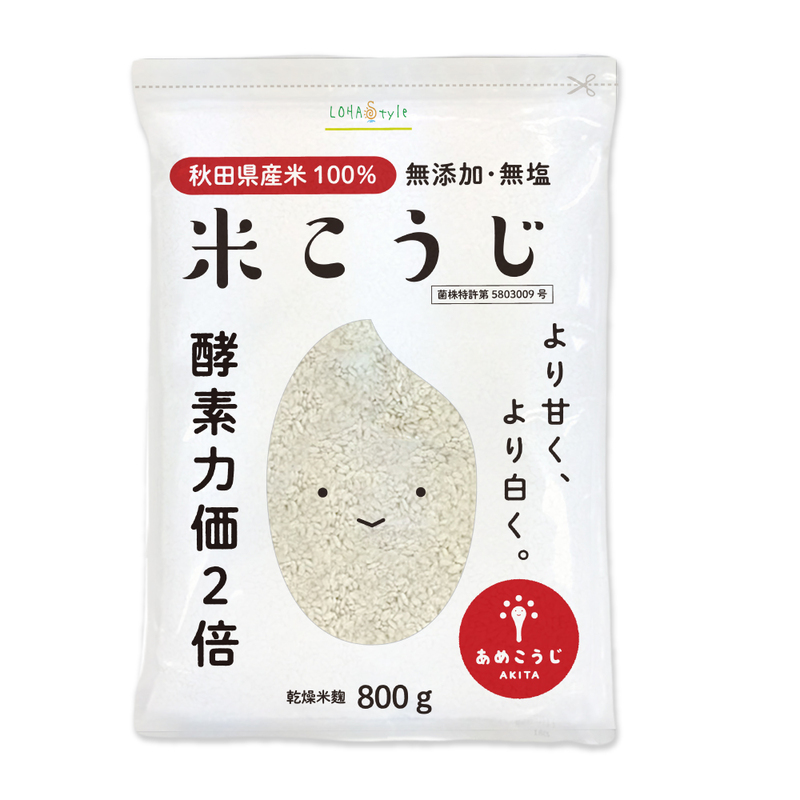 As it is completely additive-free and makes these 100% of U.S. malted rice using Akita rice produced in, I can make sweet alcoholic drink made from sake lees at home in peace. I purchased it for the making of sweet alcoholic drink made from sake lees. I made it with 200 g of U.S. malted rice, rice 200 g, water 250-300 ml several times. The sweet alcoholic drink made from sake lees which was very sweet, and was delicious was made! As completed sweet alcoholic drink made from sake lees is very sweet and was completed, even if 半量程混 ぜて of the sweet alcoholic drink made from sake lees drinks soybean milk and hot water, sweetness is felt enough and is delicious. In addition, I do リピ! It is very good quality. It is easy to use it. 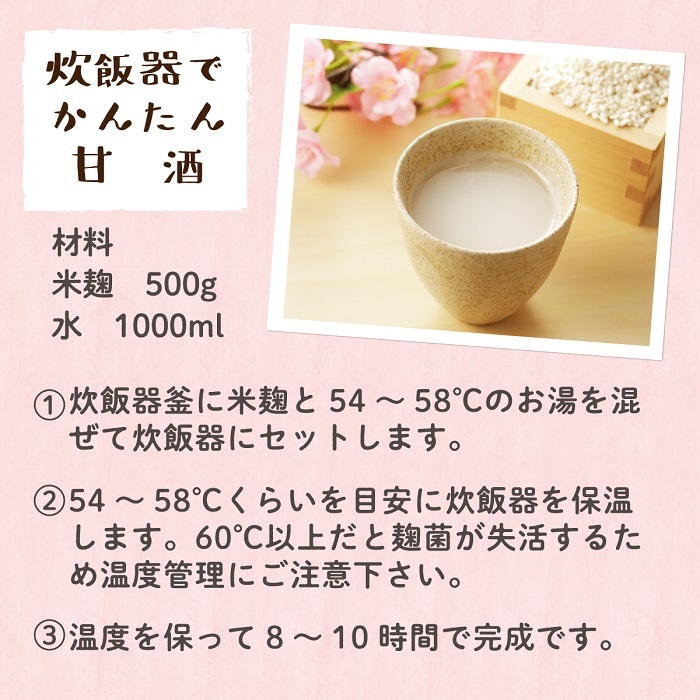 I make sweet alcoholic drink made from sake lees with the U.S. malted rice, but there is it very deliciously every day. It becomes too much sweet when I put it too much and is serious. 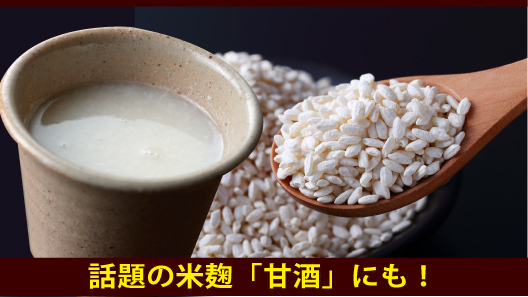 It is the malted rice which そのぐらい is good for. 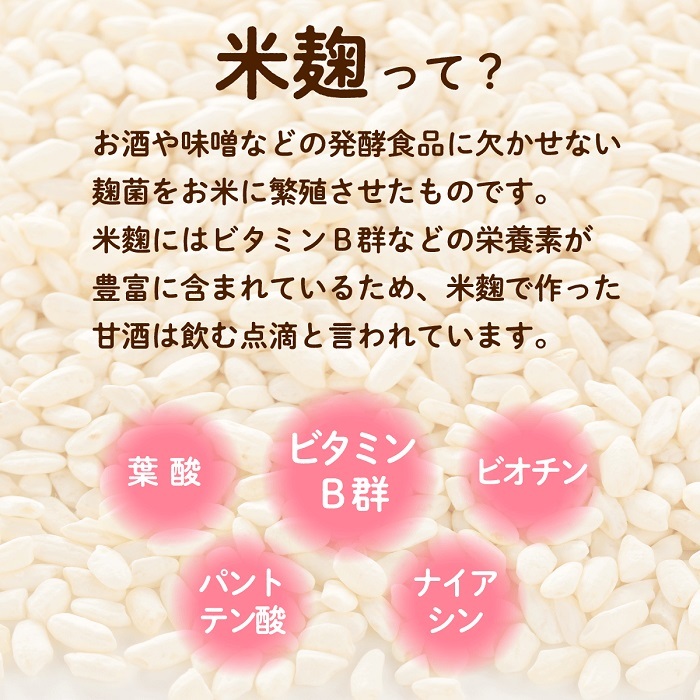 The U.S. malted rice with full of the nourishment is recommended for a person worried about health, beauty. 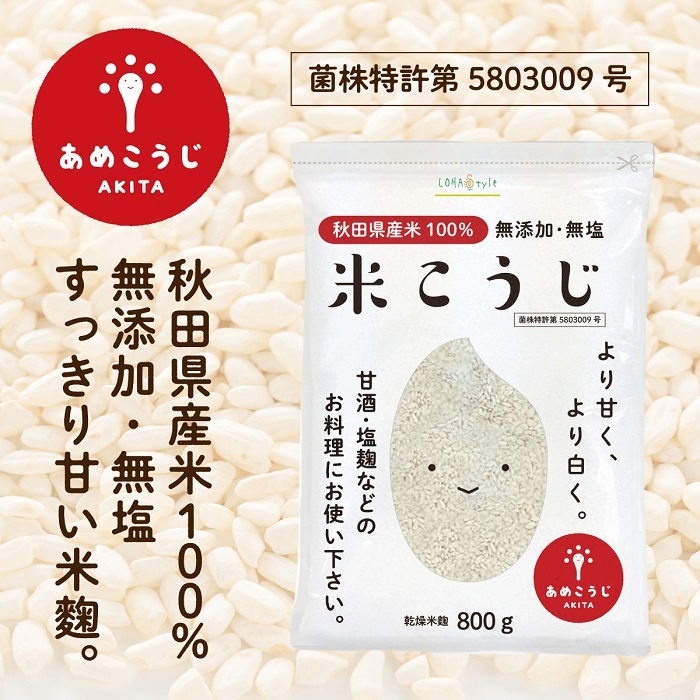 "Knit it, and take" brand-name rice malted rice of our store different from just the U.S. malted rice in gangs, and use を; and at home of "the additive-free saltlessness" is sweet, and please appreciate wanting to drink sweet alcoholic drink made from sake lees of the neat taste.